Happy Valentine’s Day! New fares today on Hawaiian Airlines flights. Some reduced up to $50 each way. Travel dates through May 2019 on many routes. Save on flights to Big Island, Kauai, Maui and Oahu. See routes, dates and prices below. We scour for and bring you cheaper fares with somewhat less availability. Today we have again found many great “puka” fares, with prices below and dates extended beyond those advertised by the airline. Remember that airfares change up to 5x daily, while availability changes as tickets are booked. Find the deals now and don’t delay before booking. ▶ Travel from now until May, depending on route. As indicated below. ▶ Prices listed are each way including all taxes and fees. One way travel available on most routes. ▶ Holidays including spring break are not included. Important: Read fares and availability below to find these airfares. Book online only – not by phone. How to Book: Online booking only. Use city links below to go directly to Hawaiian Airlines website then search for your city pairs and dates. Try using the monthly fare calendar. More Help: Read The Cheapest Time to Fly to Hawaii for all of our tips and tricks. If you don’t find the deal or dates you are looking for, sign up for our free email updates for many more sales ahead. And feel free to leave a comment below if we can help find anything specific. Many fares are lower than those advertised on the airline’s website. See details below for availability on every route. San Diego $225 $169 March until April. Long Beach $284 $169 March. Phoenix $278 $249 April until May. San Jose $179 $163 February until April. Oakland $200 $161-$163 February until April. Portland $228 $174-$176 March until June. San Francisco $189 $179-$181 March until April. Seattle $198 $168 March (limited). New York $293 February until April. San Diego $247 $159 March (limited). Los Angeles $247 $179 March. Phoenix $313 $262 March until April. San Jose $219 $159 March. Oakland $219 $169-$184 March until April. San Francisco $169-$198 March until May. Sacramento $252 $169-$198 March until May. Portland $194 March until May. Seattle $188 April until May. New York $374 February until May. San Diego $247 $158 April (limited). Los Angeles $228 $184 March until May. Phoenix $362 $262 March to April. San Jose $235 $193 March until May. San Francisco $235 $182 March until May. Sacramento $225 $205 March until April. Portland $242 $178 April (limited). Seattle $192 April until May. New York $414 April until May. San Diego $192 $173-$180 March until April. Los Angeles $211 $179 March until May. Phoenix $377 $262 March until April. San Jose $212 $163-$168 February until March. Oakland $212 $163-$168 February until April. San Francisco $206 $183 March. Sacramento $249 $188 February until April. Portland $257 $175 March (limited). San Diego $283 $237-$247 February until May. Los Angeles $338 $187 March until May. Phoenix $318 $288 April until May. San Jose $237 March until April. Oakland $237 March until April. San Francisco $294 $248-$252 March until April. Aloha. My wife and I are traveling to Hawaii for our first time end of May 2019. We are using LAX as our departure airport (inbound from Florida under separate already booked reservations). 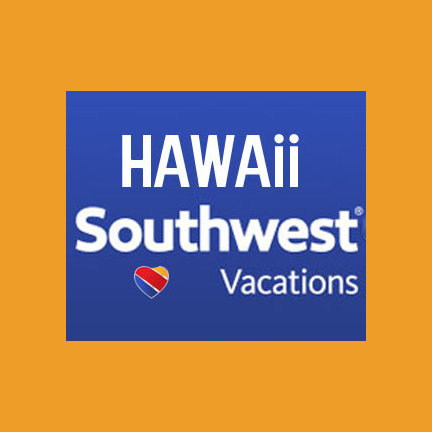 Our plan is to book multi-city airline reservations from LAX to fly into Oahu (HNL) on 5/24/19 for 2 nights with the return flight out of Kauai (LIH) back to LAX on 6/1/19. The Inter-island flight will be booked separately. Can you please recommend (1) the best time to purchase our multi-city tickets from LAX (2) recommendation on how far in advance we should book the inter-island flight from HNL to LIH and (3) best fare $ costs to expect for the LAX to Hawaii multi-city booking reservations? Best to wait until after SWA announces flights on that route. Should happen for your time frame. Were that not to happen, best spring airfares should occur around first of year. Inter-island should be booked immediately after booking trans-Pacific. Perhaps budget for $150 each way and be pleasantly surprised if it is any cheaper. What a great recourse BOH is – thanks! Watching late June 2019 flights from LAX to KOA. Found a HA round trip for $722-752 range. 1-stop going, NS returning. Doesn’t feel like a bad price but wondering whether BOH thinks SWA impact may drive prices down or if I should purchase now at that price???? Thank you! Good question. Of course end of June is 2nd most expensive time to fly to Hawaii. But even then there will be some benefit from SWA. We’d optimistically be looking at a target price in high $500’s. 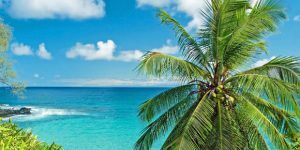 Looking for a good non-stop airfare from LAX to Maui in mid-September of 2019? When should I start looking at low airfares? Thanks in advance for your response. Wait until SWA gets going. You should be in for very good airfares for next fall. No rush to buy for now. Expect to pay from $100 to $150 each way. I forgot to say Thanks!! I love this website!! Our family of 6 are taking our first trip to Hawaii Spring 2019. We are planning for Las Vegas-KOA 3/28 to 4/8, with a flight into Honolulu early 4/8 to see the island before continuing on that night to Las Vegas. 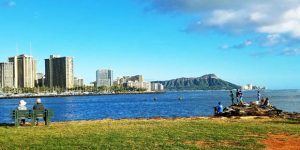 (looking at Hawaiian Air who flies through HNL, so it’s about $650 with the extra flight from KOA to HNL since the layover isn’t long enough for us.) Hawaiian has had many sales recently into early March so we planned to wait for sales for late Mar/April. However, I saw in a comment on this site that we are coming during Spring Break in Hawaii. Will inventory be low on these flights such that we should buy now or can we safely wait to buy a little longer? Thank you! Spring break isn’t a time when you can expect to find deals to Hawaii. Your dates are solidly within spring break. Inventory can also be a problem, although with your mid-week travel dates, that is decidedly less likely. Given the Las Vegas to Hawaii market and its limited competition, we’re of mind that it might not improve and to book sooner than later. Southwest effect could help – that is also a possibility, albeit unknown at this time. Sorry to not be able to say more definitely what will happen. Hello, I am flying out of Oakland, Ca and landing in Honolulu on the 4th of March, and currently shopping for return flights on the 9th of March (Saturday). Unfortunately fares went up from 220 to 300 in the last few days, and I need 5 tickets so thats a large difference (400). Do you believe that flights will drop below 300 again anytime soon? Because there’s no competition from other carriers for the inter island routes. Holiday periods such as Thanksgiving and Christmas/New Years are not included. Sale prices on both LAX and SAN routes are available until December 12 and then again starting January 7. Your dates are running over $900. Not sure if they will improve or not. Also possibility they will sell out. Why do inter-island fairs continue to be the most expensive flights per mile than any other airfare in the country, if not the world? Are the fares you quote one way fares or RT? Hi, can you please advise how to obtain the unadvertised fares for this sale? It says “not published on the airline’s website” but the link takes you to — the airline’s website. I searched January 2-6 just to check pricing. Outbound availability starts January 7, then is pretty wide open. Use the airline’s monthly view to find fares. 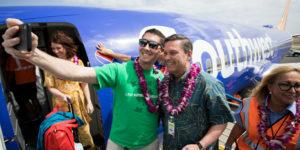 Aloha I am looking for a flight from Dallas TX (DFW) to Maui (OGG). Please advise what is the best time to purchase a ticket and when will they be cheaper from Dallas? I wanted to go this fall, or Jan of 2019. Please help me find a cheaper ticket and Mahalo. Last week of November and first week of December has fares in mid $500’s with good connection on Alaska. Please, advise when it would be a good time to book our flight from LAX to Kona for Saturday June 15, 2019 one way? Was hoping Southwest would be flying and the fares would reduce. There would be six adults flying. We don’t know when SW might start flying from LA – it will not be at the beginning. Very much peak travel day – Saturday in summer. Hard to predict. Currently just under $400. Might go down by up to $100 or so if you wait but that is anything but guaranteed. So what to do depends on your threshold for pain of not knowing by waiting. Planning trip from PHX to Lihue between Jan 1 and April29 2019. What is your best price thot? Two seniors. Thx. We’ve had some good prices this fall, so suspect that will resume in your time period, other than end of march to mid April (spring break). Target price $400. We’ll keep fingers crossed with you. Let us know how it goes. There are so many times that the red highlighted links don’t take you to where they are supposed to. Like right now again for the 123.00 airfares by Hawaiian Air. 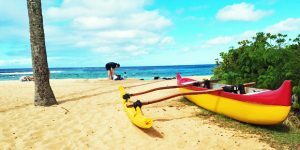 I am looking for the cheapest flights from SLC to Honolulu for 2 adults from March 5-12. Not willing to fly through the night and want to keep total travel time under 11 hours. Best flights I am seeing right now are $523.80 per person. Our son in Hawaii keeps telling us to wait for prices to come down to closer to $400. Do you think we should take a chance and wait or just book now? Thanks! Not likely that you’ll see both good connection/no overnight and price in $400’s. Suggest buying if you can find in $500’s. Best flights we’re seeing are on Delta, nonstop outbound and one stop in LA return. Meets your criteria and price is about $700. Do you think that one way lax-koa will drop at all around oct 12th back below $200? Thank you! Not sure if you mean back to the $250 RT fares in September. That is possible but not likely. More likely is mid $300’s, which is a very good price nonetheless. 10/12 is a Friday and those are often somewhat more – something to keep in mind. We should see some better October fares coming out soon. We are planning on visiting Kauai Jan 16-21, 2019. Currently there is s nonstop flight from Oak to LIH for $377. I was waiting for the Southwest triggered fare wars but I’m starting to think those might happen further down the road. Do you think we will see better deals as it gets closer or should we go ahead and book? Thank you. It could really cut either way. We certainly expect to have them flying by then, and every indication is that they will have that route covered. But no one knows for sure. On the other hand, $377 is a good price. Overall, it seems more likely that prices will go down from $377 rather than up, should you choose to wait. For your mid-week travel you should be good in terms of availability. Traveling roundtrip to ITO Feb 22, 2019 to March 2, 2019 from BWI. Avoiding ORD, Denver for layover flights. Flying via United/Hawaiian airlines. Any suggestions on the best cities for connecting flights, and how soon / best time should the flights be booked? Over $800 RT any way you do it. ITO doesn’t really get deals, and BWI to Hawaii is limited in its deals (there are some but not a lot). You can fly via LAX and avoid those airports you mentioned. Not sure anything is going to improve much, especially with Friday/Saturday travel dates. About $700 RT on Delta, with very good connection. Fair price. Not sure waiting for SWA right at the beginning will be a good thing to do.